I'm quite often using customized BPM 11g workspace application integrated into ADF 11g custom application. You can download it for BPM 11g PS5 from my previous blog: Tips & Tricks How to Run Oracle BPM 11g PS5 Workspace from Custom ADF 11g Application. Standard BPM 11g workspace ADF task flow is customized with MDS - ADF 11g PS5 Application with Customized BPM Worklist Task Flow (MDS Seeded Customization). I would like to present today updated workspace application to BPM 11g PS6. The reason to migrate customized BPM workspace to PS6 was because I'm often using it during ADF/BPM integration trainings. Also I will be posting future posts in ADF/BPM integration area based on upgraded PS6 sample application. 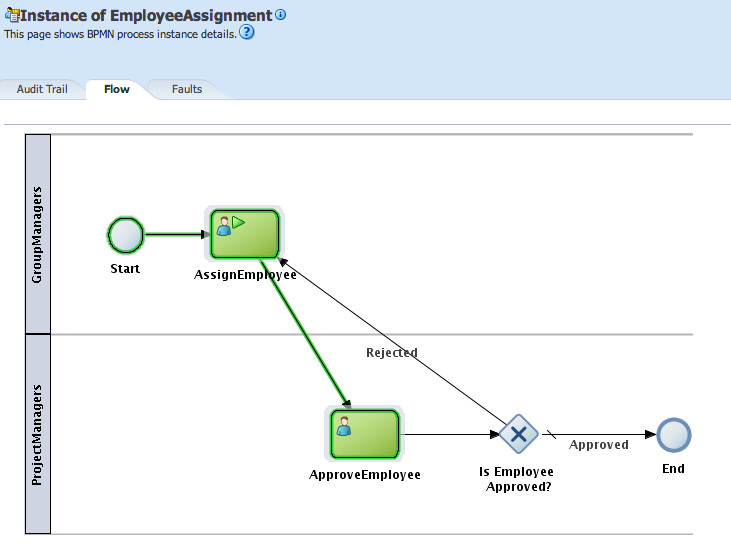 You can see that user is given option to initiate new BPM process, view list of tasks assigned and finally access Human Task form. 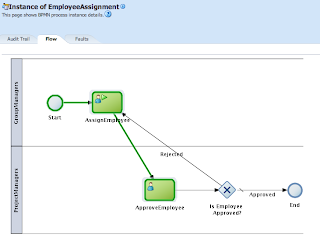 Human Task form for different steps is implemented using Generic Human Task Handler concept - Generic ADF 11g Human Task Handler Concept for Oracle BPM. Is it possible to use something more business user friendly instead of EmployeeAssignment in the application list, e.g. localized task name or "Create Employee Aggignment"? Yes, this can be set as you want in Human Task configuration. For my tests is not really important - the name. I tried it and it works great on PS6. My questoin was why do you have so many jar files from process_spaces folder included? Has something changed since PS5? These JAR's are needed if you want to run in Workspace mode, and have option to start new processes. Worklist mode doesnt require these JAR's. There are exceptions generated otherwise. from the adfbpmapp_ps6.zip, i check for the both application but i can't find the process_spaces jar that vikram mention previously. i check it from the application properties - libraries and classpath. but from the IntegratedBPMWorklistApp_v3.zip application for the PS5 BPM workspace integrated to ADF, i can see the process_spaces jar configuration. but in my environment PS 6, i can't find the process_spaces folder. my workaround is i download the OracleBPMWorkspace.ear and copy the necessary jar to my application lib folder. but still i can't have my workspace showing in my adf page. it just blank white page. do you have any workaround ? and no error message in the weblogic console. I have a requirement to customize the BPM Workspace. For example, on certain condition, mark a specific task from a list. I used a skin to create new look, but changing CSS only is not enough.